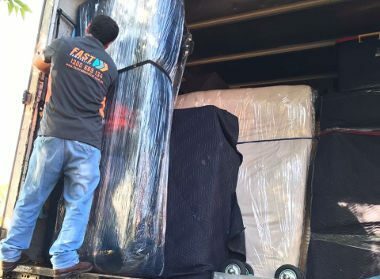 UAE to Australia furniture movers have the skill, experience, and training required for carrying out safe international moves. Our team at Fast Removalists has been a part of this industry for several years now. 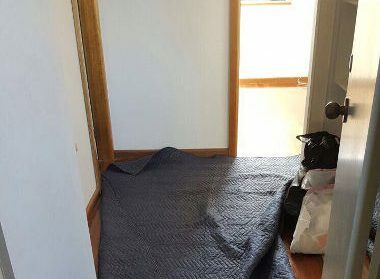 They know what it takes to plan and execute such a project, which is why we’re considered one of the best removal companies in this industry. 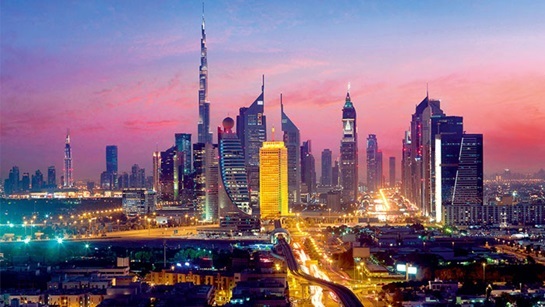 If you’re relocating from places like Abu Dhabi or Dubai to Australia, don’t hesitate to give us a call. Planning logistics – No international transfer can happen without the assistance of expert logistics team. These professionals take note of factors like shipment size, dimensions, locations, travel distance, etc. This lets them create a customised plan for every project, making sure client’s personal preferences are met. Our team is efficient, creating a flexible plan to ensure everything reaches Australia without delays. Furniture packing by an affordable furniture removalist – This process is more complicated than it sounds because furniture comes in different shapes, sizes, material compositions, and weight. 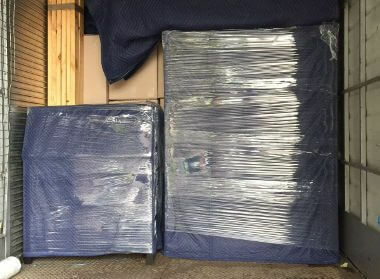 Packing them isn’t a simple matter of placing things inside cardboard Chair or table arms and legs must be wrapped carefully. Glass or stone dining table tops must be inside sturdy cases, etc. Our professional furniture removalist teamknows the best techniques, ensuring nothing is damaged. Assembly – Some household furniture pieces can’t be transported in one piece. Large cabinets, wardrobes, beds, and other such items must be disassembled before transport. Our crew has done this several times, so you needn’t worry about damage. They will reassemble furniture at your destination, double-checking to make sure nothing’s unstable. Our team will pack individual components carefully in multiple layers of packing material, so the finish doesn’t have any scratches or scuff marks. 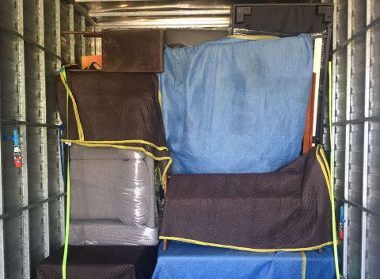 Storage by safe and cheap removalists – Some clients can’t move all their furniture at once, which means they require temporary storage solutions. Instead of hiring a third-party vendor, you can keep the shipment in our highly secure units. These units have access control, sophisticated security systems, and will ensure your possessions are always safe. Storage solutions are available for short term or long term. Our team will pickup/drop-off shipments; clients needn’t make separate arrangements. 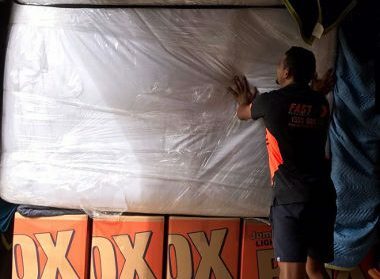 These plans are flexible, customisable, and affordable, which is why we are one of the best removal companies in Dubai, Abu Dhabi, and Australia. As mentioned before, international transfers are controlled by several rules. These rules are different for different countries, set in place to make sure nothing illegal or harmless crosses borders. If these formalities aren’t completed, your shipment can be delayed or even sent back. 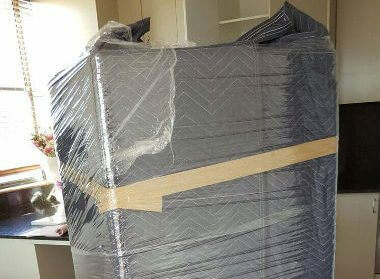 Our UAE to Australia furniture movers team makes sure this doesn’t happen, double-checking every document for errors. Logistics experts carefully enter information regarding the shipment, including weight, dimensions, specifics of individual items, details about hazardous material, etc. They specify origin and destination addresses clearly, making sure there’s no chance of misplacement. As licensed international cheap removalists, we also have all required permits or licenses, so shipments sent by us are within regulations. International moving services quote – International removals involve several expenses. There are fees, taxes, transport costs, labour, etc. Customer service executives will provide a detailed breakdown of all these expenses, without any hidden costs. You can ask them questions about expenses, determine which services are optional, and see what fits into your budget. They offer advice throughout this process, which helps you make a good decision. We also provide a removalist cost calculator, which gives you a rough estimate of what to expect. Tracking information – Some clients want to know where their shipment is while in transit. Our crew provides accurate, current tracking information on request. We’ll explain everything about the shipment route, so you know how your possessions travel. Logistics experts never lose track of packages, frequently checking to make sure it’s on schedule. Insurance for UAE to Australia movers – While we take every possible precaution to ensure your shipment reaches its destination without problems, accidents can happen. There’s a higher risk of shipments becoming damaged or lost during international moves. That’s why we offer comprehensive insurance coverage. This will cover all damages or losses, so clients aren’t faced with unexpected expenses. As you can see, we offer friendly and comprehensive customer service. Customer care experts can handle all problems efficiently so don’t hesitate to give them a call. As an established UAE to Australia movers company, we take security seriously. That’s why all our employees undergo thorough background checks before joining Fast Removalists. You can trust them with your personal property without fear. They’re also well-trained, undergoing months of supervised education before being allowed to carry out removals. Our company expects similar standards from shipping carriers we partner up with. They have well-established reputations, good staff, along with professional services. We have worked with some carriers for years now and know how they operate well. They are licensed, certified, experienced, which means their services are up to established industry standards. Do you need reliable international UAE to Australia furniture movers? We at Fast Removalists can help. Our expert team of removalists will make sure all your possessions reach their destination safely. If you have any questions, just give us a call and our customer service team will assist.